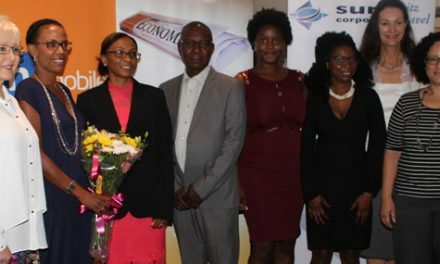 Namibia’s power utility company, NamPower inked a power purchase and transmission connection agreement with an Independent Power Producer (IPP), GreeNam earlier this Week. 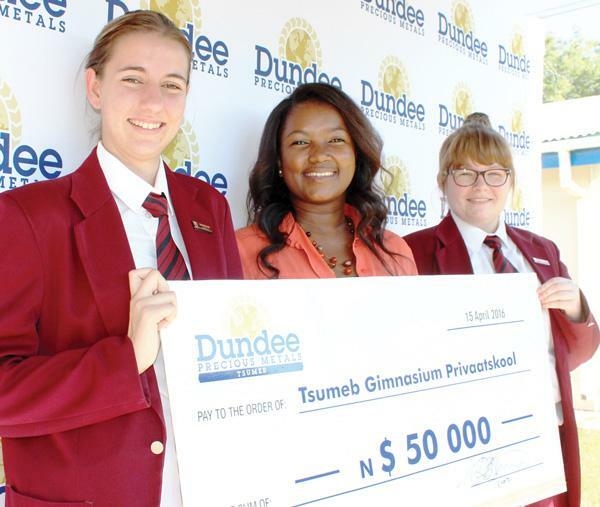 The 35- 40 million US dollar agreement will see GreeNam providing NamPower with electricity from two x 10 MW solar photovoltaic power plants that will be constructed at Kokerboom near Keetmanshoop and Hardap, near Mariental, in the southern parts of Namibia. 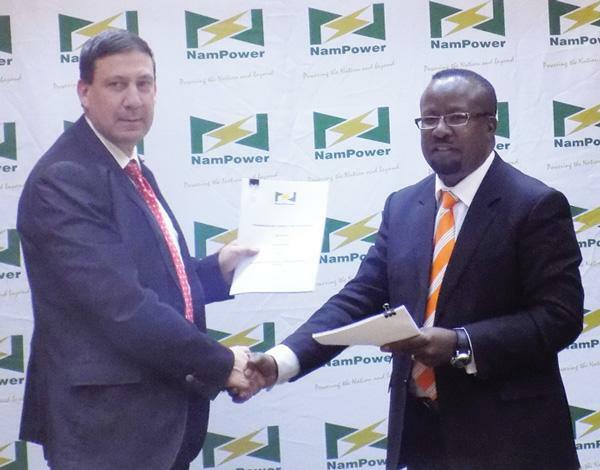 Acting MD of NamPower, Simon Haulofu, said, “We are satisfied that the negotiations between the two organisations culminated in the signing of this agreement.”.GreeNam CEO, Asaf Nadel, said that they are proud with this milestone. “We have build up a foundation for future other IPP’s in the country,” he added. 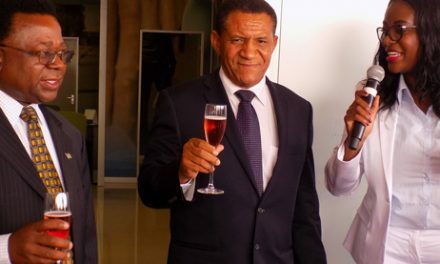 In the picture, the two parties shake on the deal.